I am looking forward to experimenting with more raw food recipes once warm weather arrives and I'm no longer craving the comfort of cooked foods. 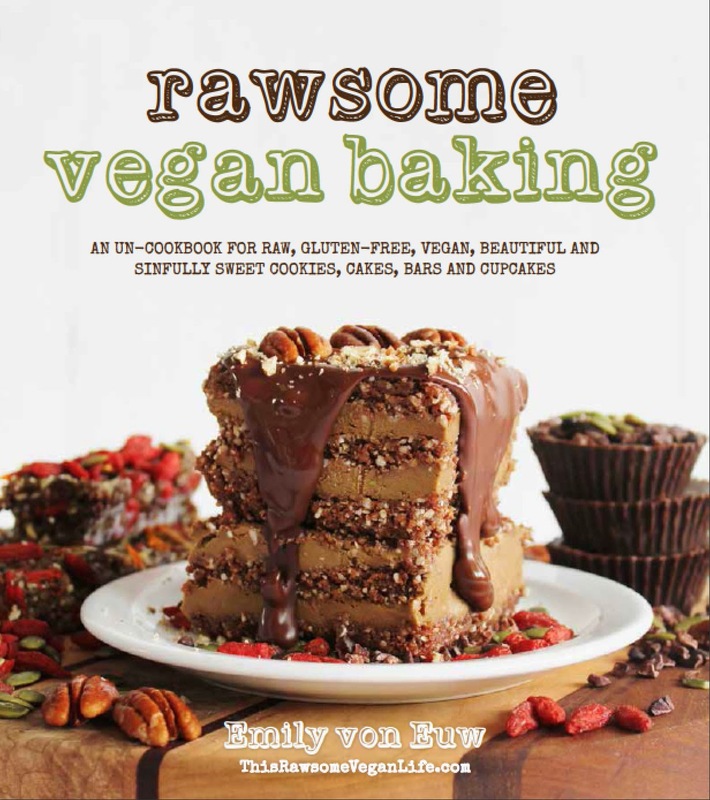 Recently I received a copy of Rawsome Vegan Baking by Emily von Euw of ThisRawsomeVeganLife.com. With all of its beautiful photos and delicious-sounding recipes, Rawsome Vegan Baking is sure to inspire me in my quest to prepare more raw desserts. As the book makes its rounds on a blog tour, I was assigned to try out the Ultimate Caramel Chocolate Squares. Okay, if I must! As von Euw writes in her intro to the recipe, this is a great treat to share with people who doubt that "healthy" and "indulgent" can come together in the same dish. With a base of almonds and dates and two more layers made up of simple ingredients like coconut oil, vanilla, cacao powder and maple syrup, you might not expect these squares to become the tasty little beauties that they ultimately become. That's my version, above. I popped half the batch into the freezer so I can grab one and eat it anytime I have a craving for sweets. These naturally sweetened squares are a much healthier option than a typical packaged snack or chocolate bar with refined sugars. Here is the official photo from the book. One of the things I love about Rawsome Vegan Baking is that each and every recipe is accompanied by a beautiful photo. From the looks of it, these recipes create fancy-looking desserts that you can proudly display for friends and family after a special meal. unique and lovely desserts with the help of your trusty food processor. Don't be confused by the word "baking" in the title - the book includes an abundance of cook-free raw vegan recipes for cakes and cupcakes, cookies, pies and tarts, puddings and ice creams and more. TO MAKE THE BASE LAYER: Pulse the almonds into flour, then add dates and vanilla and process until it begins to stick together. Press into the bottom of a parchment paper–lined 9-inch (23-cm) square baking pan and place in the fridge until you add the caramel layer. TO MAKE THE CARAMEL AND CHOCOLATE LAYERS: Blend all the caramel ingredients until smooth, and then spread onto the crust. Then do this for the chocolate layer, too, and spread it over the caramel layer. Let it sit in the fridge overnight and then slice and serve the next day. So good. MORE GREAT RECIPES AND MORE CHANCES TO WIN! Buy Rawsome Vegan Baking in the United States. Buy Rawsome Vegan Baking in Canada. 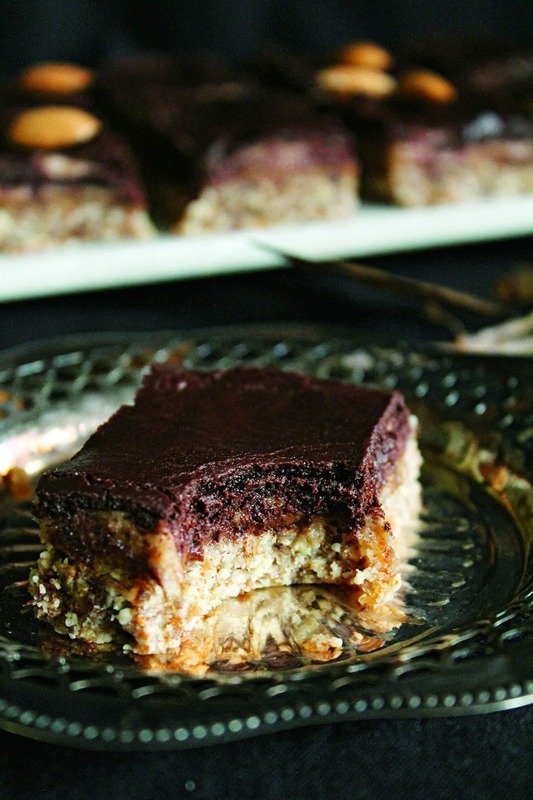 Enter to win a copy of Rawsome Vegan Baking! Residents of Canada and the U.S. may enter to win using the rafflecopter widget below until April 7th. *I was provided with a book for review purposes. All opinions are my own. This post contains affiliate links. Salads for the most part but also tofu based chocolate pudding made in the blender. I love eating green smoothies. Right now its nuts & seeds. They qualify as one food right? I've been shoving handfuls in my face whilst reading this post, matter-o-fact! I often eat while browsing blogs too!! I second banana ice cream. And I've just learnt how to make "real" vegan strawberry ice cream with strawberries and whipped coconut milk. So yum! I love my SIL raw cheese cake she makes with cashews, almonds honey and coconut oil. it's to die for! i've been making overnight oats for breakfast lately... so good! Avocados are slowly pulling into first place with me, I'm finding more and more things I can do with them every day. My favourite raw food is definitely fruit... Though if I have to pick one in particular, it's got to be strawberries. They just go so well with everything and give me the sugar hit i so often crave! I love raw granola bars with lots of nuts and fruit! I'm quite curious to try using avocado in desserts. I love its creamy texture and I've seen so many amazing recipes for chocolately mousses and tarts. Spinach, avocado and pomegranate salad with pecans. This might seem like a cop out but I loove eating dates and peanut butter straight up. Takes just like a cookie (in my opinion) but with zero effort! I have a feeling this recipe will be my new favorite though..
Yum! What I love about raw is almost all of them are perfect for my gluten-free family. raw brownies! 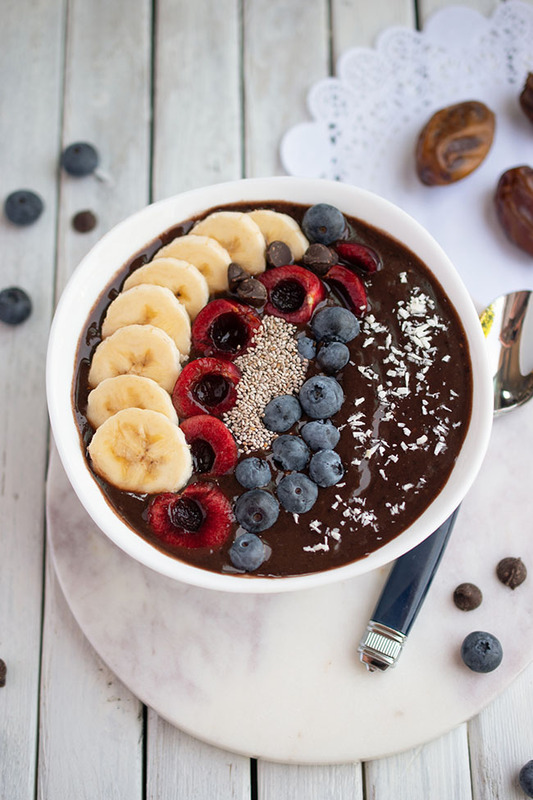 with raw ice cream… and raw chocolate sauce… oh yes. Oh yes, yes, yes. A green smoothie with freshly cut kale and swiss chard from my garden! i looove raw homemade bars! and kale+brussel sprouts salad from cookie+kate :). changed my life that salad. Can we remove the chili powder from the ingredients? Will it matter much? I reduced the amount because I was a little afraid, but it adds only a very subtle flavour. they're so nutritious, versatile, and unbeatably yummy! Those squares look so tasty! Wow! I am just getting into raw baking and cooking but I eat a lot of salads and fruit raw and I just recently started buying and eating strictly raw nuts. Salads are the easiest. But I could go for this dessert! Straight up fruit or baby carrots are my favorite raw foods! I would love to win Emily's book. These look amazing! I gotta try it out this weekend. I love when cookbooks have pictures for the recipes! I will definitely try out these raw squares. Thanks! Those look moist and delicious. Is chocolate raw? Hmm, no I suppose not ;) Well the avocados! 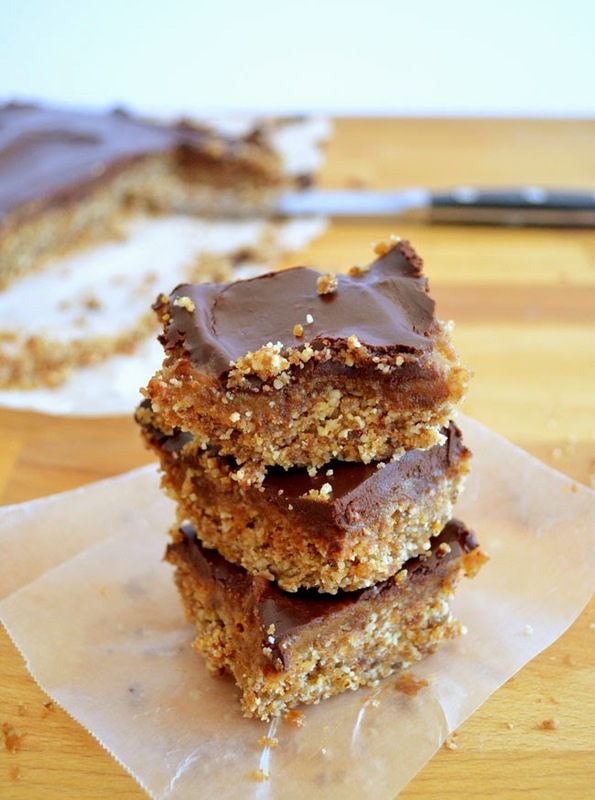 Thank you for sharing the recipe for these awesome squares! Yum! 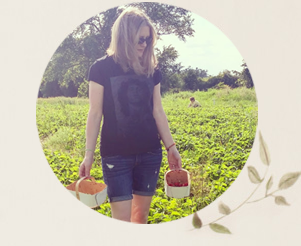 I love Emily's blog!! Its so inspirational!! My favourite raw foos are nuts, and fruit. Ooooh, I'm a lover of the raw....basically, I eat everything raw! But my favorite might have to be raw nuts of all sorts. Especially cashews....oh man I'm salivating....thank god they're practically the base of every vegan and raw recipe ever! I'm over here salivating to these pictures! Looks like a wonderful book. I love raw veggie juices. I love all raw desserts! Anything with medjool dates. my favorite raw food is grapefruit. I also love pineapple with cashew cream! After spending a few months in Poland where every vegetable is pickled, I am really enjoying having elaborate raw salads again (Avocados, so good! )!